1 Bdrm Upper Flat. Hall. Lounge. Kitch. Bdrm. Bathrm (CT band - A). Garden. Price over £65,000 Entry by arr. Viewing contact solicitors. Below Home Report Valuation (EPC band - E). Situated in a well established residential location and with excellent links to the city centre as well as the business centre in the north of the city, we are delighted to offer for sale this one bedroomed upper flat. 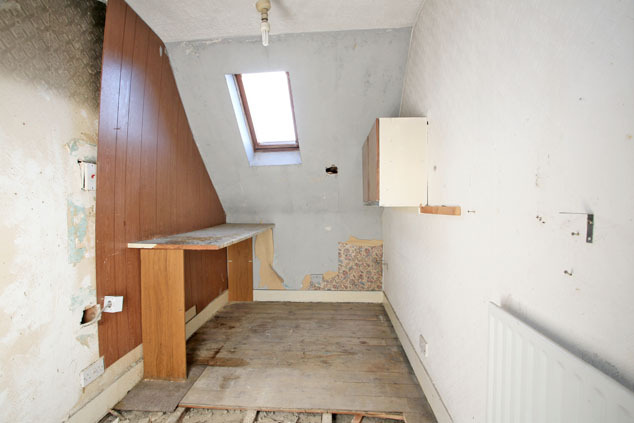 The property is in need of complete renovation but has the potential to create a spacious and bright home. The accommodation comprises an entrance hall with access onto the large lounge, kitchen and bathroom, with the double bedroom located off the lounge. To the rear there is an exclusive area of garden, a shared drying green and outhouse for storage. 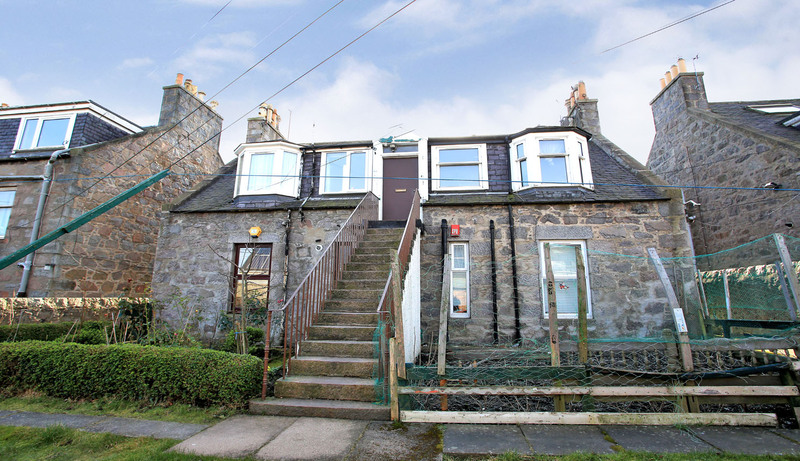 This property has lots of potential and early viewing is recommended to appreciate the convenient location and space on offer. Communal Hall Entered via a natural wood door, the communal hall is neat and tidy with ample lighting. Entrance Hall The hall provides access onto the majority of the accommodation. The fuse box and electric meter are located at high level. Smoke alarm. Lounge 12’5” x 10’8” [3.79m x 3.26m] approx. 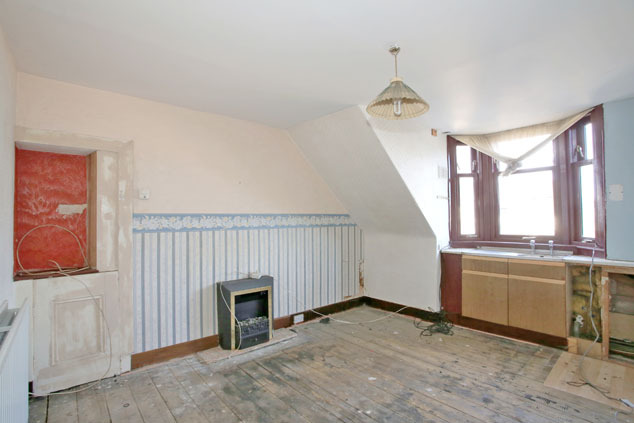 This very well proportioned room overlooks the rear garden. A low level cupboard conceals the gas meter and there is a stainless steel sink and drainer with storage underneath. Central heating control. TV point. Kitchen 10’11” x 6’2” [3.34m x 1.90m] approx. With a velux window for natural light, the kitchen area has been completely cleared of units but is a good sized space. Bedroom 12’0” x 11’4” [3.68m x 3.47m] approx. 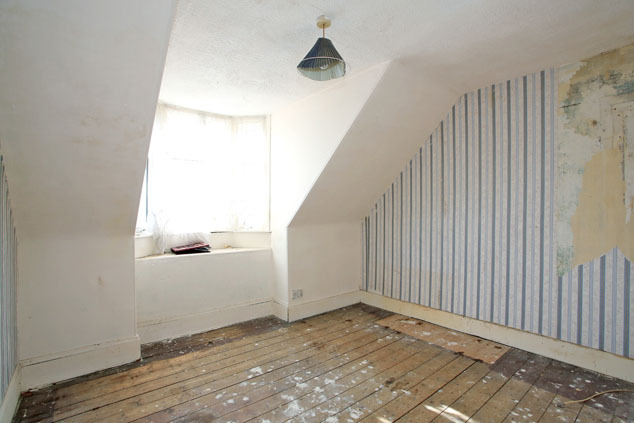 With a dormer bay window to the front, this well proportioned double room is naturally bright. A fitted cupboard provides storage and there is ample space for free standing furniture. Telephone point. Bathroom 9’10” x 4’11” [3.02m x 1.52m] approx. 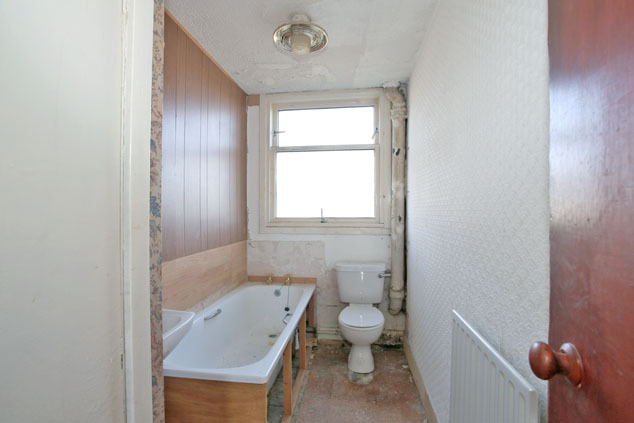 To the rear is the bathroom with a three piece white suite comprising a w.c., pedestal wash hand basin and bath. A large cupboard houses the boiler. Outside To the rear there is a large area of garden with a shared drying green and a further exclusive area. 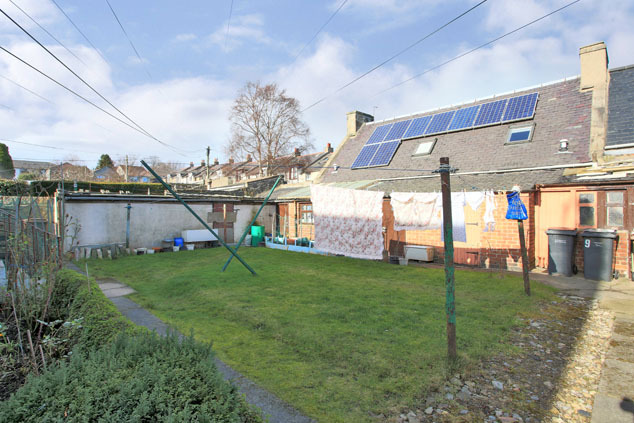 The property enjoys the use of an outhouse within a well maintained block. Notes Gas central heating. Double glazing. EPC=E. The subjects will be sold as seen.